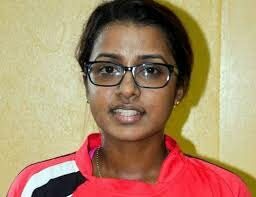 LEANDRA Ramdeen led the way for the Trinidad and Tobago women’s cricketers as the home team remained perfect after four matches in the Regional Invitational Under-19 Women’s T20 tournament. Yesterday, in TT’s second match of the day at Gilbert Park in Couva, the home team prevailed with an exciting three-run win over Guyana. TT scored 121 runs for six wickets with Ramdeen scoring an unbeaten 53, while M Mangru (2/14) and L Gilgeows (2/33) both snatched two wickets. In reply, Guyana fell just short getting 118/5 in 20 overs with S Grimmond scoring 54 and S Gajnabi belting 49. Steffie Soogrim was the top bowler for TT getting 2/17. Earlier in the day, at the National Cricket Centre in Couva, TT eased to a seven-wicket win over Windward Islands. Batting first the Windwards posted 82/6 with Q Joseph top-scoring with 37, while Soogrim was the best bowler for TT taking 2/12 in three overs. In reply, TT got to 84/3 in 11.5 overs with Anjali Goordeen scoring an unbeaten 29 and Ramdeen pitching in with 22. In the second match at NCC yesterday, Windward Islands bounced back with a seven-wicket win over Barbados. Barbados posted 82/7 with Shai Carrington top-scoring with 15 and A Alfred grabbing 3/7 for Windward Islands. In reply, Windward Islands got to 83/3 in 10.1 overs with Q Joseph cracking 27. Bowling for Barbados, Shaunte Carrington was the pick of the bowlers taking 2/12. In another match yesterday, Guyana defeated Barbados by nine wickets at Gilbert Park. Today is a rest day in the tournament with the preliminary round finishing tomorrow. The top two teams in the tournament will play in the final on Sunday. Reply to "TT Under-19 women cricketers remain unbeaten"